One of the most highly domesticated and manipulated animals in modern agricultural industry is the cow. Catering to dairy consumption, the milk production of a single cow has increased by 61% in the last 25 years. The major factors in this increase are due to growth hormones, high-energy feed rations and genetic selection. The exploitation of the milk cow is accompanied by a further level of devaluation: they are reduced to status of infinitely reproducible machines for milk production rather than an animal as a sentient being. Their physical condition is shaped into perfection for ultimate production. Three trophies have been designed to represent three separate categories. These are: ‘always fertile’, which is always fertile while it’s inseminated; ‘always female’, a cow that always gives birth to a female calf and ‘always increasing’, a cow which is always increasing its own milk production amount. 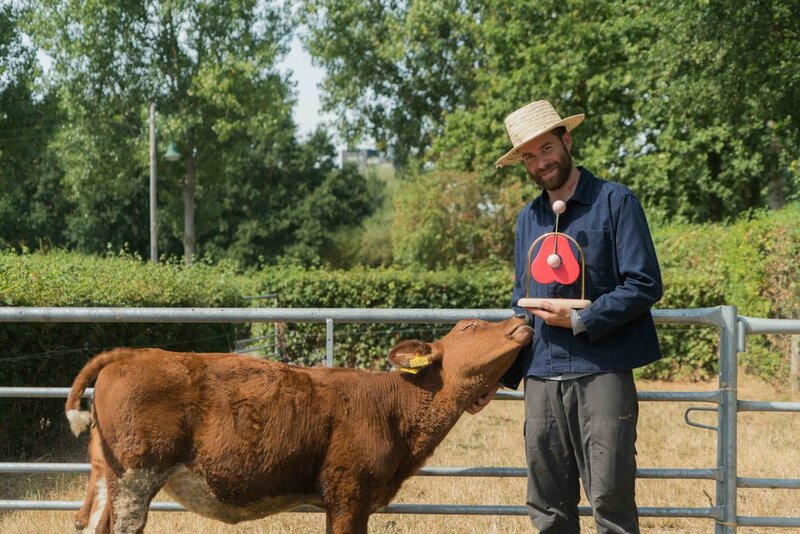 This project explores the morality behind dairy production while being inspired by a Dutch award that is given to the farmer if the cow produces more than 100,000 liters of milk.